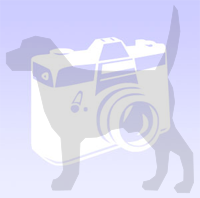 Welcome to the Home of Irpeden Kennel and K-9 Specialists (Irpeden.com & k-9specialists.com)! From puppies to highly trained GSD dogs, We are a sustainable and repeatable family whose mission is to continue and improve the world’s finest pedigrees of European German Shepherd dogs. By combining expertise on quality genetics, with discipline from potty training to IPO 3 training, Irpeden Kennels and K-9 Specialists seeks to continue and enhance the legacy of European German Shepherds while bridging the relationship between dog and handler so that anything is possible. We specialize in but not limited to the following; companion, service, protection, TOP Sport, SAR, police, military, etc. We ship world-wide & deliver personally upon request! EACH DOG SOLD COMES WITH PACKAGE OF PAPERWORK INCLUDING FULL ORIGNIAL PREDIGREE, CONTRACT, INSTRUCTIONS, GUIDANCE, AND CLINICAL RESULTS (EXRAYS + TESTING).